Monitor and Control from a Remote Location – Full camera capabilities from the safety of a remote location to a potential hazardous situation. Weatherproof – Environmental enclosures protect radio electronics from the elements allow operation in all weather conditions and environments. Full Camera Control – Provides same camera control and functionality as hard wired system through VSMC084WP Weatherproof Monitor/Controller. Multiple Control Locations – Monitor and control the INTEC Video Sentinel System from multiple remote locations. Portable Case or Fixed Mount Monitor/Control – Monitor and Control the camera from a fixed weatherproof location or the available fully integrated portable pelican case. 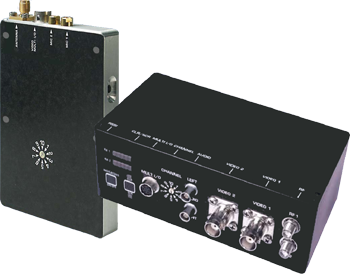 Optional Encryption - Secure Video Transmission with Micro-View Lock II Video Encoder (TX) / Decoder (RX). 4.0" x 8.0" x 10.0"